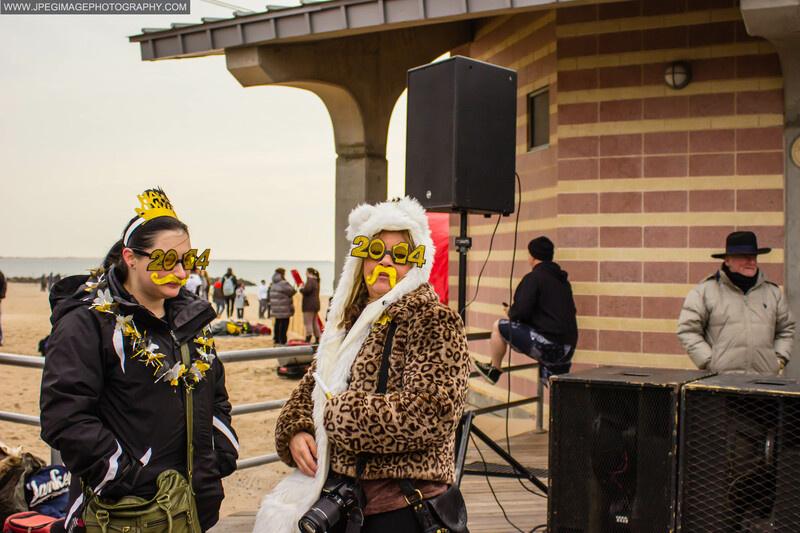 NEW YEARS DAY WITH THE CONEY ISLAND POLAR BEAR CLUB. 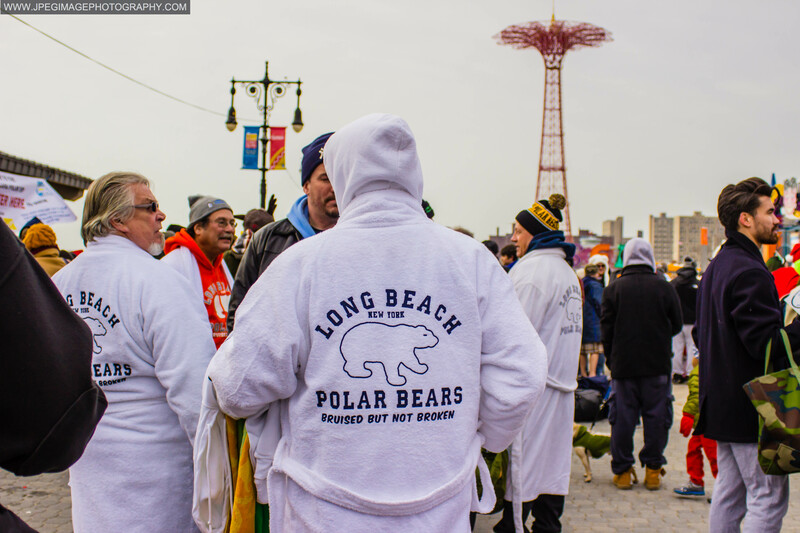 The Coney Island Polar Bear Club, formed in 1903, and is said/known to be the oldest club of its kind in the United States. It meets every Sunday when the weather starts to get cold, but New Year’s is its big day. Why New Year’s is its big day? Because that’s when members and fans of the club actually dive into the water and go swimming. 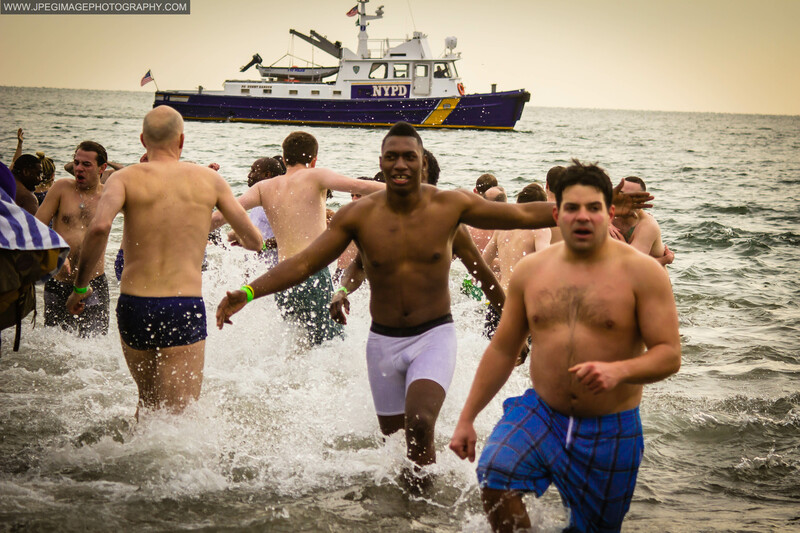 Yes… They actually run off the beach at Coney Island and right into the icy waters of the Atlantic Ocean. Keep in mind the temperature in New York City around the start of the new year is usually around thirty degrees give or take. So the water will be cold. 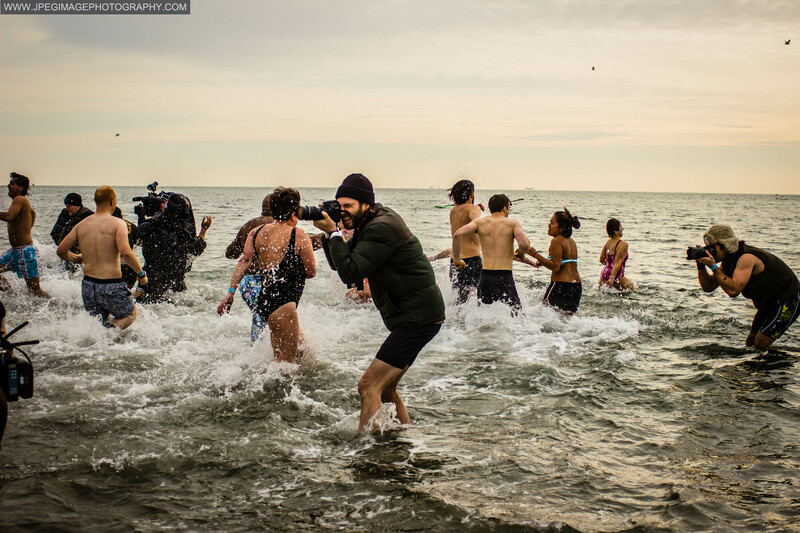 People I have talked to while I was at the event who have ventured into the icy waters in past years describe it as a “rebirth” or “invigorating.” I have to admit to having the same feelings too, when I went in the water. I will explain this a little later in the post. 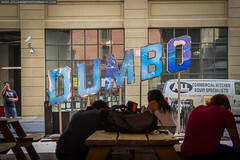 My two photography friends/associates that I usually travel with on photowalks, one of them came up with the idea of going out to Coney Island and seeing what the event was like. Needless to say that when we all got to Coney Island. That there was a massive crowed of people already there. Some preparing to go into the water, and others just there to watch the big event, it was like being at the beach during the summer time, but it was winter and cold. 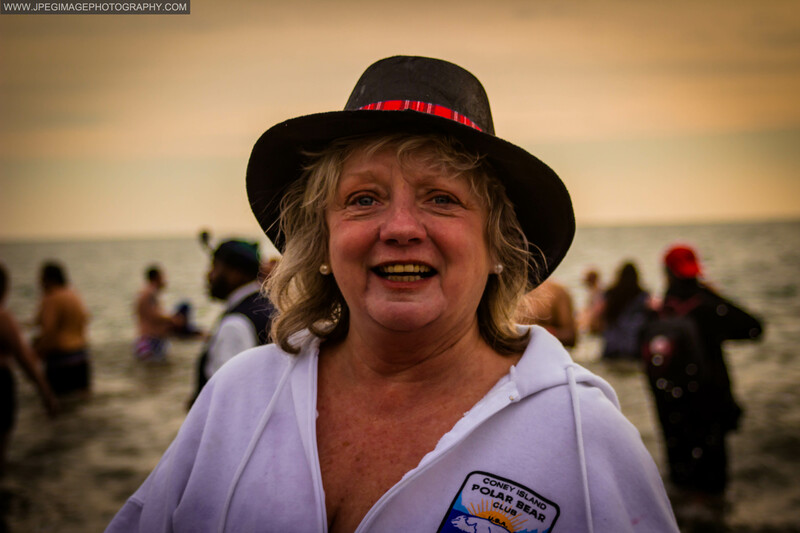 People that go to this event really seem to have a good time, enjoying the music and chatting with friends and onlookers before the big jump into the water. And many of them actually wear costumes as swimming wear. 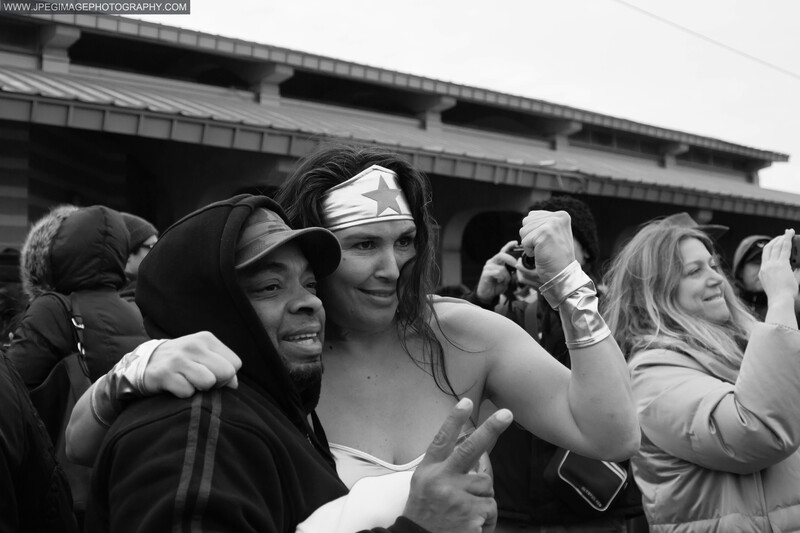 Such as the photo below, with a participant of the Coney Island Polar Bear Club dressed as Wonder Woman taking a photo with a visitor during yearly swimming event . These two must still be waiting for the New Year’s eve ball to drop. I think the same goes for these two people as well. One of them has a camera so I don’t think she will be going in the water. Now these folks below look like ones that will be getting into the water. After spending some time within the crowds of all the people. It was time to go onto the beach to get some shots of the people that were going in. Then like clockwork a large horn blew at exactly one o’clock in the afternoon and they went running in. The first wave/group just charged into they icy waters of the Atlantic Ocean. At first I tried to stay away from the water and not get wet. But after a few “bad shots,” I had to go into the water knee-deep like some of the other photographers in order to get a few good shots. But going in was worth it. 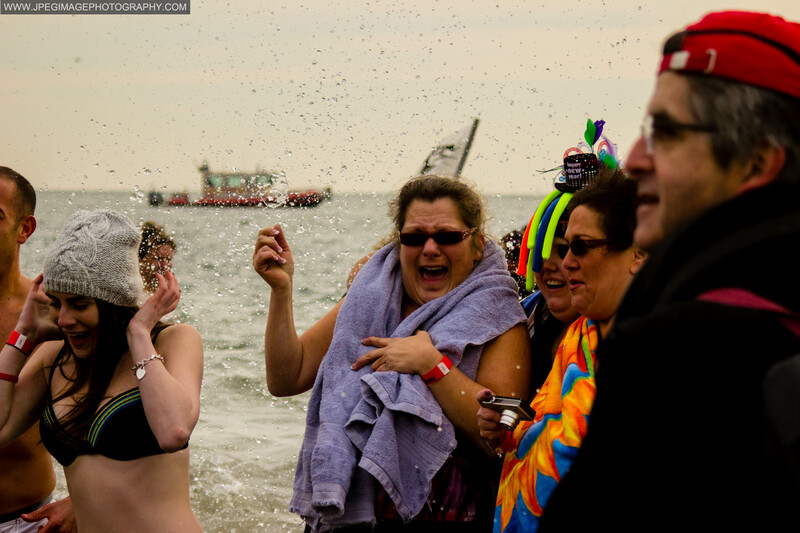 And many of the participants don’t mind you taking a photo of them as they come out the water too. Such as this woman. After all was said and done and watching the adventure it was time to pack up the gear and head back home. 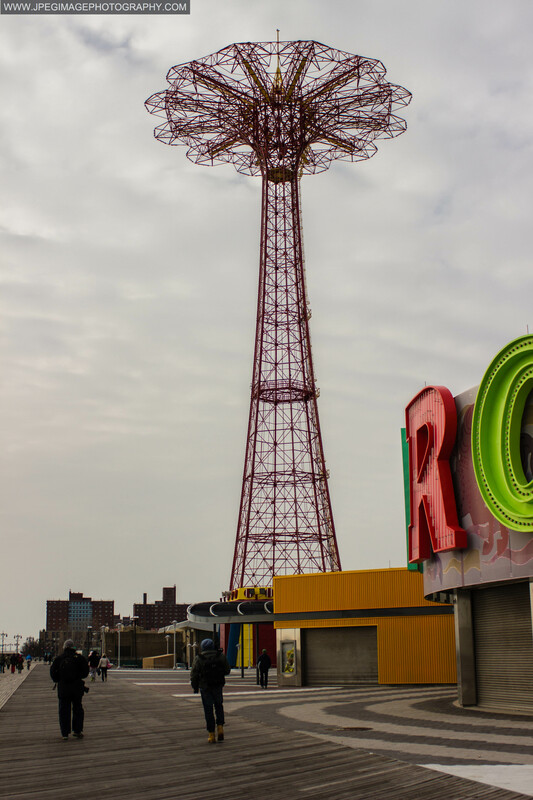 Now what kind of photographer would I be if I had not taken a photograph of the parachute jump amusement ride and boardwalk in Coney Island, Brooklyn? Not a good photographer I think. So of course I had to take one quick photo of it. And this was how I spent my New Year’s day. Overall a good and fun day it was. Thank you. Glad to read that you liked my blog post.